There was a discussion of FY2013 capital needs at the School Committee meeting last Monday night (Sept. 26). The current year capital needs list (FY2012) included replacement of the Williams Middle School lockers (cost = $70K) at a very high priority. At last week's meeting Michael Clark recommended to the SC that this locker upgrade again be ranked at a high priority behind the upgrade/replacement of the fire alarm/security systems at GMS and WMS (#1 priority) and upgrade of the WMS ventilation system (#2 priority). School Superintendent Marie Doyle strongly supported the high priority ranking of the WMS locker upgrade. Interestingly enough, Adrian Phaneuf, Facilities Director- who reports to Mike Wrabel voiced quite a different opinion as to the need to position this locker upgrade as a high priority capital project. Listen to short video clip from this same meeting (courtesy of LCTV) for his thoughts. Question: Does the School Committee (including the School Superintendent) even listen to our town professionals who have greater expertise to make these judgments? Note: I have to congratulate Mr. Fitzgerald in asking whether or not the window upgrade at WMS for energy savings and improved student comfort should be ranked higher than the locker upgrade project. This is not the first time that the SC and Ms. Doyle have been involved with factually inaccurate assessments of conditions at WMS and GMS. The Select Board and School Committee had lengthy discussions in January 2011 when "updated" SOIs were being submitted to the MSBA (see related Buzz posts). With such faulty judgment, I seriously question some of the conclusions and recommendations made by Mr. Clark and Ms. Flynn during the earlier Middle School Study presentation on the condition of WMS and GMS. Given the above inaccurate assessment concerning the WMS lockers and the earlier SOI submission episode, I question the objectives and motives of the SC. Are we simply setting up to go through the same "playbook" as was used for the high school? Make the conditions appear to be as deplorable as possible so that residents will be easily convinced that we have no choice but to tear down and rebuild new. On Monday night, at a joint meeting of the SB and SC two new members will be appointed to the School Committee. Hopefully, the selected candidates will bring some improved fact gathering and decision making skills to the School Committee. This is certainly what I think that I heard at this week's School Committee meeting (9/26/11). Committee members, Michael Clark and Laurie Flynn presented the results of their study this summer to review the conditions of the two middle schools and to recommend a forward action plan for the School Committee. Below is a video clip- courtesy of LCTV with their presentation as well as the SC's followup discussion. A new Middle School Working Group should be formed with 12 participants including 2 SC members, 1 Select Board member, Town Manager, Town Facilities Manager, School Superintendent, both Asst. School Superintendents, GMS + WMS principals and 2 town residents. This group will be charged to develop a strategic plan for fixing both middle schools. Because this "working group" is not an official committee or board it will not be required to post meeting notices or minutes. The two middle school SOI's should not be updated and resubmitted this year. Both Mr. Clark and Ms. Flynn encouraged the SC to use the Middle School Working Group's effort to help build "political will". They both felt that there was not strong enough support to undertake another large school building project just as the tax impact of the new high school project was going to start (see Longmeadow Taxes- Part II). This "working group" proposal sounds very similar to the School Building Committee. The recommendation seems like it is trying to "jump start" the whole feasibility process without any official sanctioning. The town cannot afford to commit the efforts of all these town employees to a "working group". The SC and SB should put together a joint taskforce to look at the all of the town's infrastructure needs- not just those that are school related so it can develop and properly support a prioritized list of projects. Hopefully, the SC and school administration will not embrace the same tactics as those used to gain support for the new high school in which normal maintenance and updates were deferred for many years. Example: If (as Ms. Flynn reported) the current locker room space at WMS is in such deplorable condition, the WMS principal should submit work orders to fix it. It is amazing how appearance can be improved with simple relatively low cost repairs (paint, floor replacement, etc.). The article below entitled Lucky to be in Longmeadow written by Alex Grant appeared in the September 22 edition of the Longmeadow News and is reprinted here with permisssion of the author and thanks to the Longmeadow News. My wife and I read this article and as parents and now grandparents we could visualize the situation quite vividly. 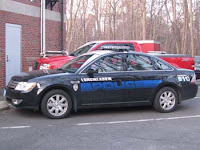 This article is a great commentary on the excellent work provided everyday by our Longmeadow Police and Fire Departments. My wife and I have been lucky to never have been put in the traumatic situation as Mr. Grant and his wife recently experienced. We are very happy for the Grant family that things worked out very well. 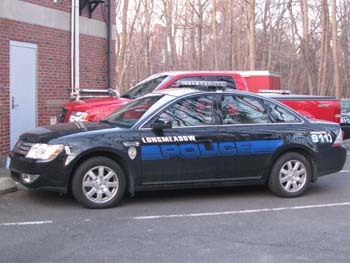 If you are lucky, you will live in Longmeadow, you will pay your taxes, and you will never use the police and fire services. You will pay for their salaries and their offices, you will fund their equipment and supplies, their gasoline and their buildings. You will help to pay tens of thousands of dollars for fire trucks and ambulances you will barely see, the years will go by, and these fine pieces of machinery will fall into obsolescence, and they will be replaced for still more money. And you will pay for it all, but you will be lucky. You will be lucky if you never call 911, and you will be lucky if the police and fire professionals never have to come to your house. 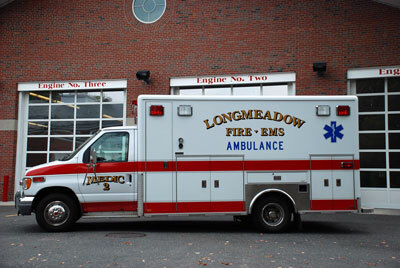 But if you do need to call 911, and you live in Longmeadow, you will still be pretty lucky. That is what I learned a week ago when my scariest moment as a parent came to pass. My two year old son had been having a bit of a fever, some sort of viral infection that kids get all the time, we supposed. My wife and I gave him some Tylenol, his temperature came down, and pretty soon, he was rampaging about the house. Later in the afternoon, he seemed a little lethargic, and his forehead felt a little warm. Another dose of Tylenol, a bath, and early bedtime seemed in order. As my wife was washing him in the tub, rinsing his hair, he suddenly slumped forward. She grabbed him, wrapped him in a towel, and yelled down to me to call 911. I scrambled to find the cordless phone, which I located quickly, thank God. 9-1-1, ring, ring, ring, and the dispatcher was on the line. I was talking to the lady, and I could see my son, slumped over, in his mother's arms, out of it. The dispatcher got the most essential information from me, and then she told me she was going to send EMS right away. The dispatcher returned to gather more information. Meanwhile, my wife and I were freaking out. My son was becoming more limp and lethargic. All I could think was that if he stays awake he won't die. We rushed downstairs to the front porch, to be there when the paramedics arrived. And then his eyes rolled back in his head, his face took on a bluish tint, and my wife started screaming, "he's not breathing!" Is this how you lose a child? How long can a kid not breathe before he is gone for good? Remembering my Boy Scout training from way back, I took my son and tried to listen for breathing. But it is all well and good to say to listen for breathing, but when events are racing by and your wife is screaming, one cannot tell, or at least, I could not tell. So I tried to blow in his mouth, assuming he was not breathing; I remembered the instructors saying how a couple of breaths is often all it takes for CPR to work. Again, I could not tell if it was working, and the truth is, I was useless in this situation, and all I could really do is wait for the professionals to come. The police officer was the first arrive, and he grabbed my son, and what a relief it was. There is no way he can die now, I thought. The officer could tell right away that yes, our limp little guy was breathing. EMS came about 20 seconds later, put an oxygen mask on, and my son quickly "pinked up," as the paramedics said. I got in the back of the ambulance, expecting a mad dash to Baystate, but the paramedics took the time to get everything set and stabilized. The moment of danger and our worst fears were over. We went to Baystate emergency. At first, we thought it was a seizure brought on by a spike in the fever, but the doctor finally said there had been no seizure. It was all the fever, and my son probably never was in mortal danger. He quickly bounced back; in fact, my son had rallied to the point where he gave a high-five to the paramedics when they left. We were lucky that day. My wife and I stared into the abyss, and then we were pulled back into the daylight where 2 year olds do not die but live on to make merry mischief. It was like waking up from a bad dream, and it was Longmeadow's police and fire fighters who made it all OK, or at least that's how it seemed. They cared for my son, they even had a little stuffed animal in the ambulance for the ride to the hospital. They consoled and explained everything to my wife. Heck, someone even walked our dog, probably knowing that's just the thing hysterical people stress out about on the way to the hospital. What else can I say? Thank you to the guys who responded. You were there when we needed you. And if we are really lucky, we will never need you again, but we will sleep easier at night knowing that you can handle an emergency when it arises.